Heavy duty track stop. Bolts to track at end of line to prevent derailments. 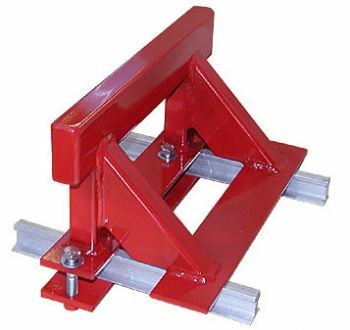 Made of heavy duty welded steel tubing, powder coated red. Complete with mounting hardware. This model is for 7.5" and 7.25" gauge track.